We are dedicated to providing an affordable, non-intimidating, supportive, fun environment to learn and improve the game of golf. This relaxed atmosphere is conducive to improved performance, and combined with play and practice, a world of difference will be achieved. Instructional programs, league play, and travel opportunities are designed to help improve your game, build personal and professional relationships, and enhance a balanced healthy lifestyle. You will gain support, be challenged and enjoy new experiences. Instruction is provided by a dynamic group of C.P.G.A. golf professionals. 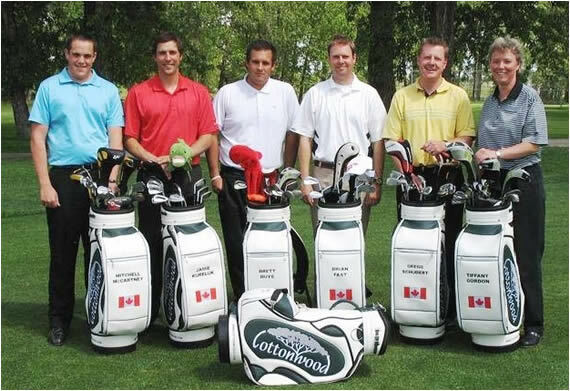 League play and lessons are hosted at a variety of private, semi-private, and public golf facilities in Calgary and Edmonton, Alberta. Are you looking to have more fun, see more golf courses, meet new people, improve your game and have a sport for the rest of your life? Come see if Golfaround is for you!